Pakistan’s energy scenario depicts a picture of concern since the production and consumption of energy have resulted in severe environmental impacts across the globe. Through our nation wide sales and support network, we have become a well-known brand in Pakistan for ultimate home improvement bench-marking Tesla Powerwall Pakistan. 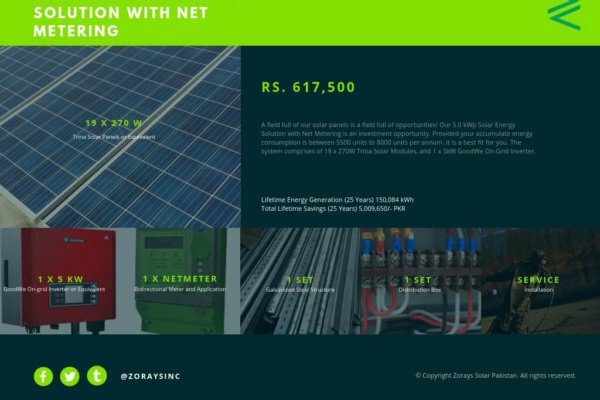 As a commitment to harness the alternative energy resources, we have opened up new vistas in the focused field of Net-Metering and our commercial dc air conditioner price in Pakistan are the best. Increase the value of your home, protect yourself from future energy rate increases, help the environment – all at the same time. We offer In-House Free Battery Regeneration Services to our home and industrial clients. In the last few years, advances in PV technology and the rapid decline in technology component prices have been the major disruptive factors. Together with JS Bank solar financing, we are changing over corporate lodging social orders into keen, creative and clean environments to live in with solar system on installments in Pakistan. Our mission is not only to provide PV energy system for home in Pakistan but farms too. We have build a special focus on Bio Fuels as well under the regime of Renewable Energy Association of Pakistan, and PSA. Our customers can control their appliance even with voice recognition (Siri/Google voice/Google Home/Amazon Alexa). 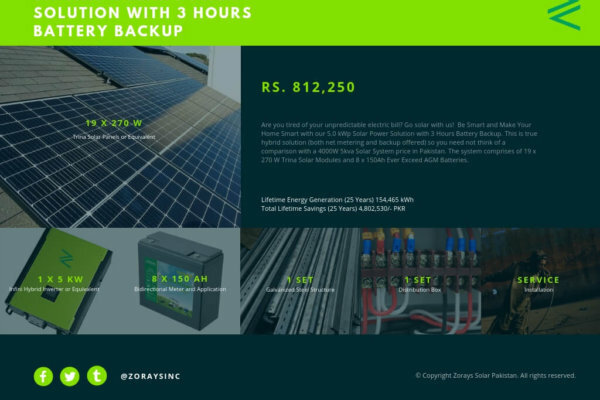 Zorays Solar offers an intelligent solar, grid and battery solution engineered to supply reliable energy for consumers in markets with unstable grids from the cleanest and cheapest cost sources. 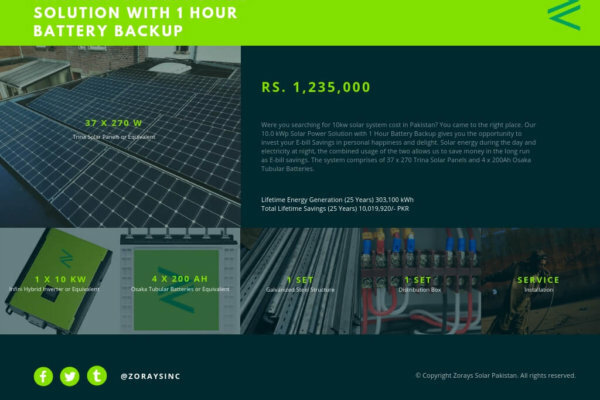 Our Commercial Energy System comes with continuous support and monitoring, allowing it to have multiple features unmatched by even the most popular solar solutions worldwide. We offer a complete photo-voltaic power plant solution for pv integration and connection including power conversion (inverters, transformers and switchgear), electrical distribution, monitoring, supervision and technical support. 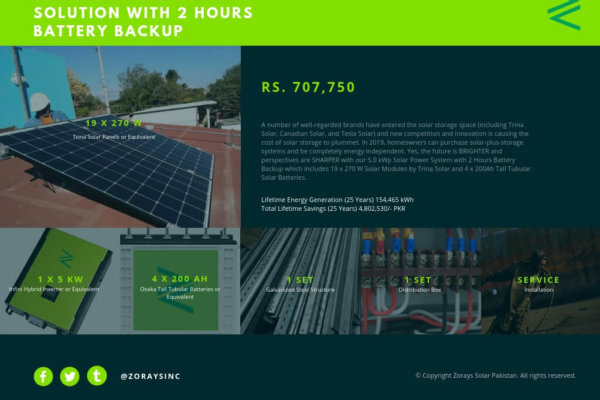 Zorays Solar provides the full solution from the panel DC output to the grid connection. 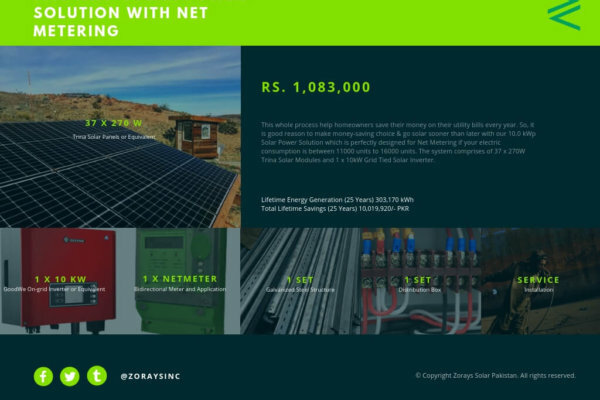 is the one that discover commercial solar power systems for centralized and decentralized grid-tie, self consumption, off grid solar, and back-up power. 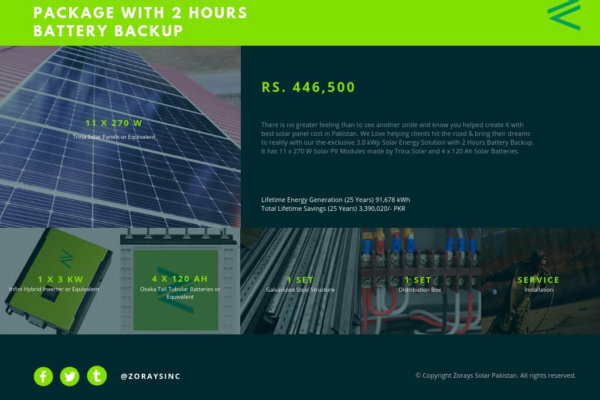 No self-praise but Zorays Solar Pakistan can be seen as an all rounder with its DC Kits to PPA Green Energy Bond Offerings. 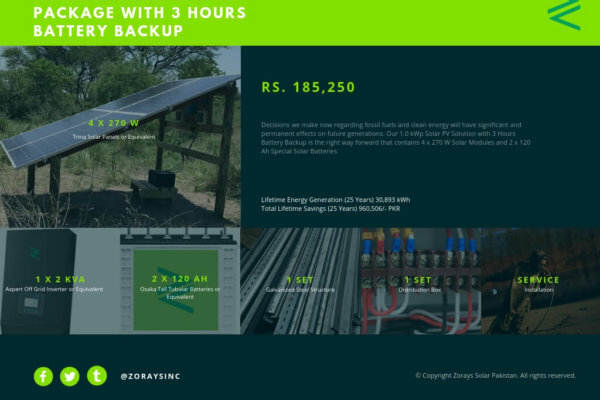 are offering off-grid packages helping remote area population to manage their energy and process in ways that are safe, reliable, efficient and sustainable. 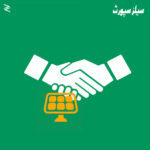 We take the lead of having done off-grid projects in 10 remote districts of Baluchistan. 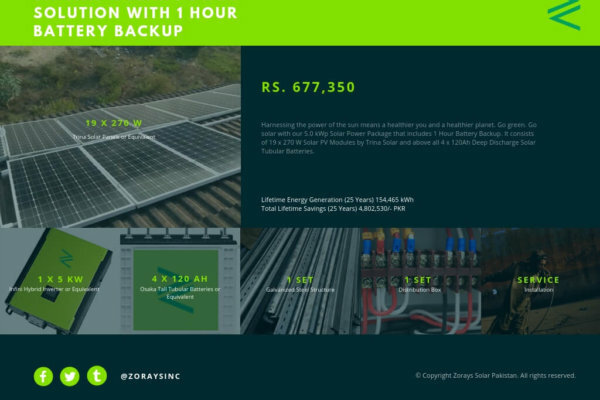 Smooth the intermittent nature of renewable energies, stabilize the transmission and distribution systems, or optimize your energy consumption by integrating an energy storage system from a bankable partner. 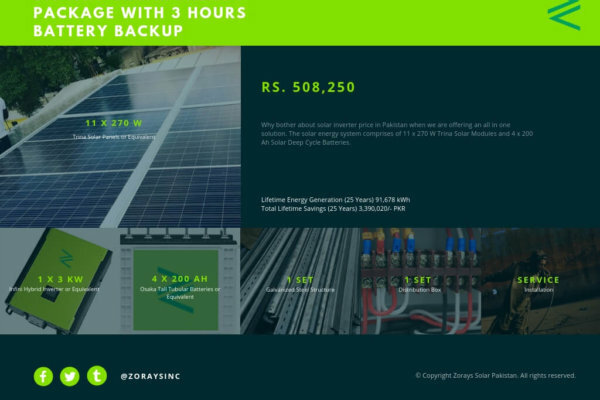 Whatever the application, wherever on the globe, we’ll be here to support your energy storage needs around the most optimized solar system price in Pakistan.